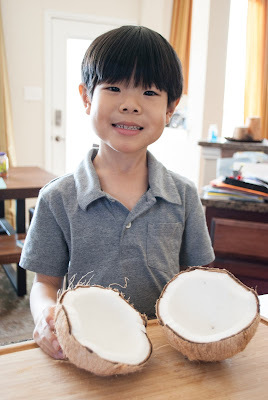 Growing up, Vietnamese New Year's, aka Lunar New Year's was one of my favorite holidays because we would celebrate with so many awesome traditions. Kids would make lanterns for the lantern festival, get money from adults when they wished them well, and best of all were all the foods. 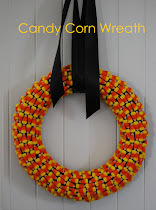 As a kid, the sweets that were made during that time of year were addicting. 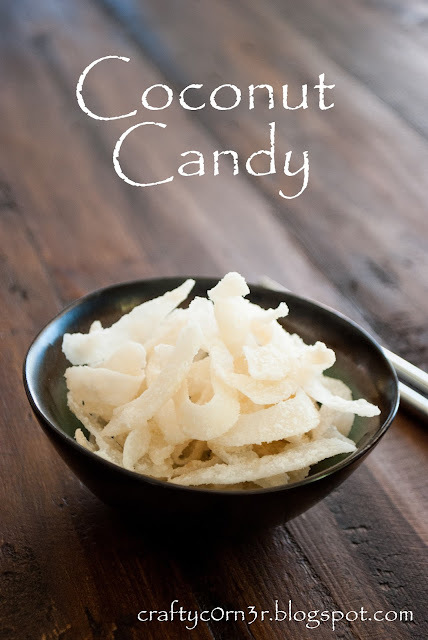 One thing that my mom made was Coconut Candy. 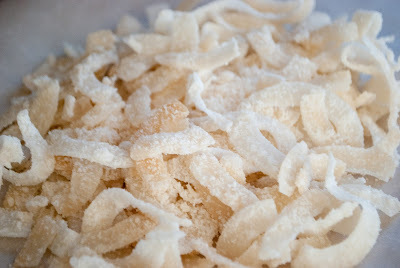 It's coconut that has been coated with sugar..simple, yet delicious. 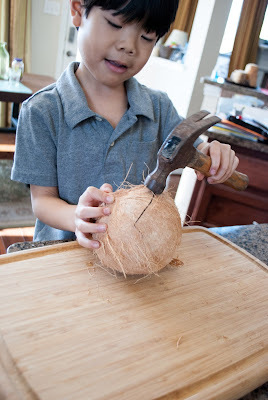 All you need is a coconut, supplies to open the coconut (pointed object and hammer), and sugar. My pointed object is a screw driver. 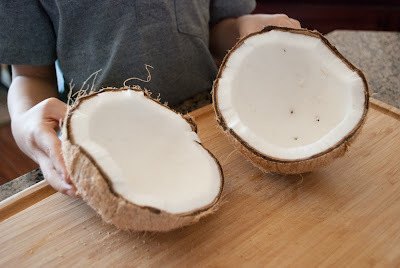 I pointed it at one of the holes of the coconut. My son decided to take over to hammer the screw driver in, making a hole. 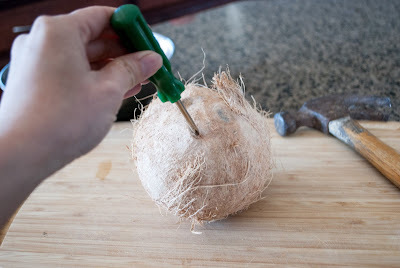 Next, the coconut water was drained. 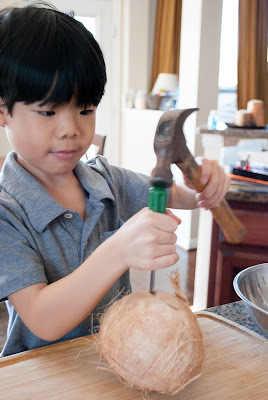 Take the hammer and tap all the way around the coconut until it cracks open. 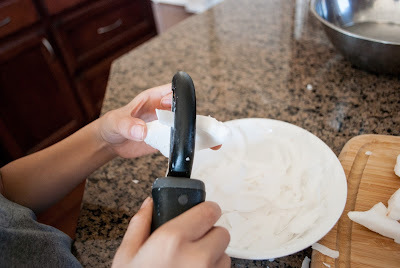 Next, scrape the coconut off the shell. I used a sharp knife. 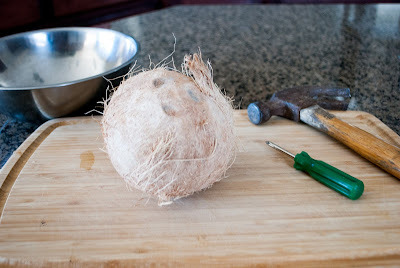 A peeler was then used to slice the coconut into thin pieces. 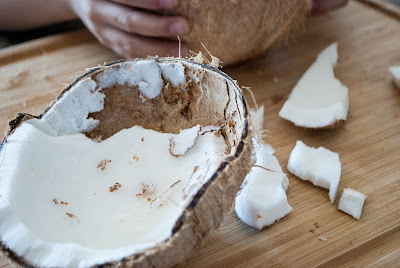 At this time, you could soak the coconut in the coconut water and color it with food color. However, I decided to keep it white. 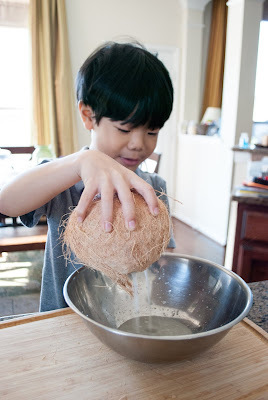 In a pan, in batches, divide the coconut water and coconut. 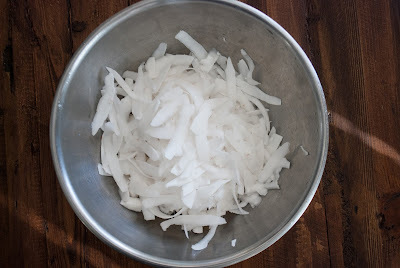 Here is a 1/3 of the shaved coconut with 1/3 of the coconut water. 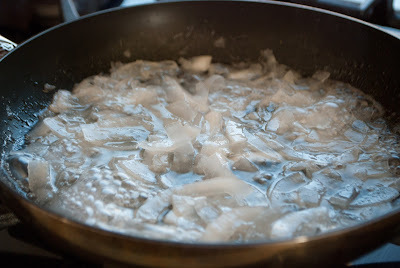 Add a cup of white sugar and cook on low to medium heat. 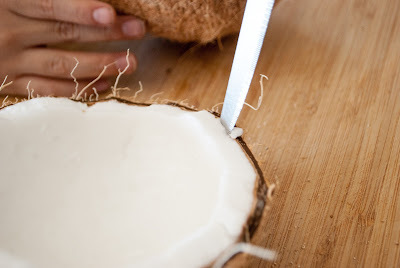 Constantly stir the coconut or it will burn. It will take about 15-20 minutes of stirring. 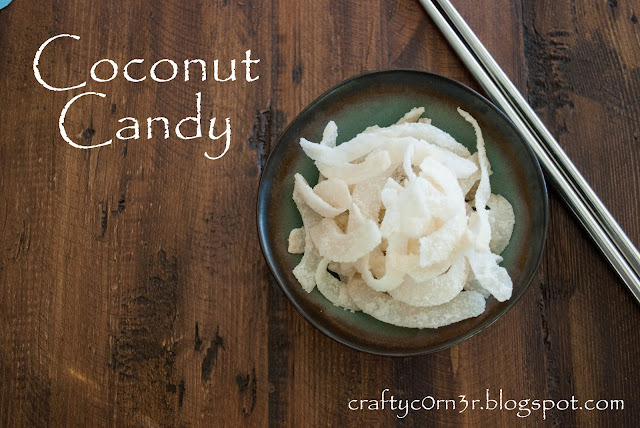 This is a great little work out ;) The sugar will dissolve and then crystallize around the coconut. 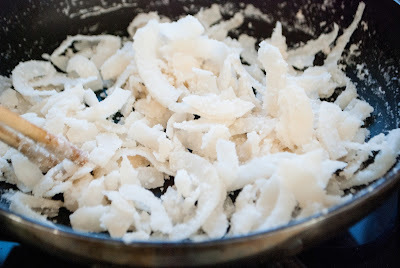 Once the liquid has been dissolved, pour the coconut onto parchment paper to dry. This is so good and addicting.